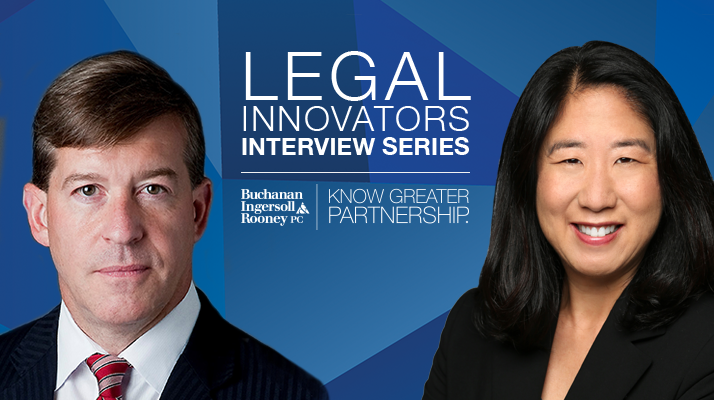 As part of the Legal Innovators Interview Series, Craig Mills, a shareholder and co-chair of the Litigation section at Buchanan Ingersoll & Rooney, talks to Janet Lee, general counsel at ANSYS. On the show, Craig Mills talks to leading in-house counsel from across the country to get their insights on the evolving role of general counsel. The Legal Innovators Interview Series is hosted by Craig Mills, a shareholder and co-chair of the Litigation section at Buchanan Ingersoll & Rooney. On the show Craig talks to leading in-house counsel from across the country to get their insights on the evolving role of general counsel.